Rhiannon is using Smore newsletters to spread the word online. Telling you why you should not keep exotic animals for pets! 1. Exotic animals — lions, tigers, wolves, bears, reptiles, non-human primates — belong in their natural habitat and not in the hands of private individuals as “pets.” By their very nature, these animals are wild and potentially dangerous and, as such, do not adjust well to a captive environment. 2.Because the majority of states do not keep accurate records of exotic animals entering their state, it is impossible to determine exactly how many exotic animals are privately held as pets. The number is estimated to be quite high. Certainly 6,000 to 7,000 tigers are held by private individuals. 3.The American Veterinary Medical Association, the United States Department of Agriculture (USDA), and the Centers for Disease Control and Prevention (CDC) have all expressed opposition to the possession of certain exotic animals by individuals. 4.Exotic animals do not make good companions. They require special care, housing, diet, and maintenance that the average person cannot provide. When in the hands of private individuals the animals suffer due to poor care. They also pose safety and health risks to their possessors and any person coming into contact with them. 1.In mid October, 2011 over 50 captive bred exotic animals including tigers, lions, leopards, bears, wolves and monkeys were released by their owner before he took his own life. Many of these animals had only a few hours of terrifying freedom before being shot to death. We can only hope that this event will catalyze Ohio –and the Federal Government– to ban private ownership of exotic animals AND shut down exotic animal auctions. 2.And apparently Ohio is one state that doesn't regulate or restrict keeping wildlife captive. 1. In June 1999, a 10-year-old girl dies after being brutally attacked by one of her stepfather’s “pet” tigers. The young girl is in the tiger’s cage helping her stepfather groom the animal when the tiger attacks. 2. In December 1998, a healthy 5 month-old girl suddenly dies at home after contracting salmonella from the family’s pet iguana. The girl has no direct contact with the iguana yet contracts salmonella. 3. I n February 2000, a woman is viciously attacked by her “pet” macaque monkey. The monkey leaps from his open cage onto the woman’s head, and makes gashes 6 inches deep and other cuts to her head, arms, and legs. The woman spends over a week in the hospital and must undergo more than 12 weeks of physical therapy. The monkey has bitten the woman on two other occasions and previously attacked the family dog. 1. This question would make more sense if it read “what exotic pets are legal to own” in a specified state. People’s definitions of an exotic animal vary. The media generally uses the word ‘exotic’ to describe pets that people fear such as big cats, large snakes and wolves (even though these canines were once native to more states). 1.Their environment where the live would get over populated with the animals or prey that they would normally eat or feed on in their normal habitat. When they are living in your backyard they can't consume the things that they normally eat in the wild. So the things that they eat could become too big and then the can't all just go away, they probably now rule the area because they can't all be consumed. Because the majority of states don't keep a record of their exotic animals that have been held captive it is very unruly to finds out what the numbers say for this matter. 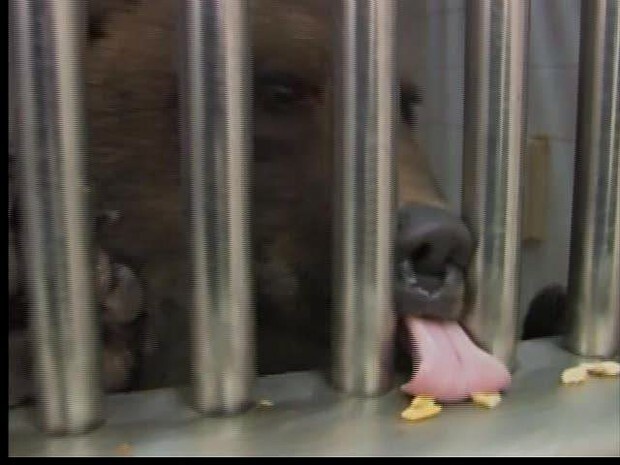 It can really hurts these animals they are locked up in cages they have no food for most of the time they barely get fed, and when they do its not very much to hold them for a while and they almost die of starvation or they attack their cruel owners when they are being fed. So that they can run away and go back to their real and natural home in the wild where they should be and always stay. "Get The Facts:." The Dangers of Keeping Exotic “Pets”. N.p., n.d. Web. 8 Feb. 2014. <http://www.bornfreeusa.org/facts.php?p=187&more=1>. "The Tiger Next Door." News. N.p., n.d. Web. 8 Feb. 2014. <http://www.thetigernextdoor.com/news/>. "Follow on Facebook." LiveScience.com. N.p., n.d. Web. 8 Feb. 2014. <http://m.livescience.com/16815-exotic-pets-wildlife-infographic.html>. "Get The Facts:." Born Free USA Facts Sheets. N.p., n.d. Web. 8 Feb. 2014. <http://www.bornfreeusa.org/facts.php?more=1&p=183>. 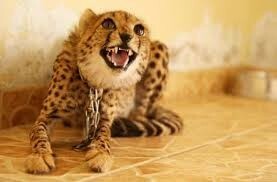 "Where are Exotic Pets Legal?."HubPages. N.p., n.d. Web. 8 Feb. 2014. 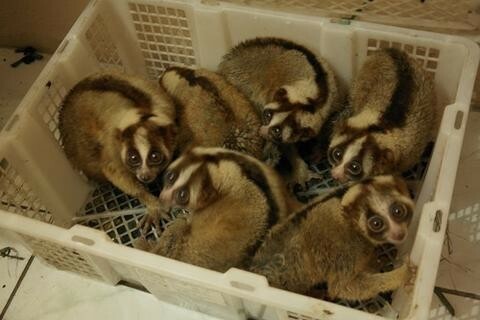 <http://melissaasmith.hubpages.com/hub/Where-are-Exotic-Pets-Legal>. "Exotic Animal No-No's: Why Owning One Can Hurt Them and You." Do Something. N.p., n.d. Web. 8 Feb. 2014. <http://www.dosomething.org/news/exotic-animal-no-nos-why-owning-cool-pet-hurts-them-and-you>.